New technical developments continue to have an impact on literature and our understanding of books. From 13 to 14 June 2017, a two-day conference in Berlin sought to get a grip on the current ecosystems of contemporary literature and publishing. Titled ‘The Publishing Sphere’, the event took place at Haus der Kulturen der Welt in Berlin, with roundtable discussions, short performances, workshops and literary readings. Some of the most interesting sessions discussed the widely varying publishing models that explore relationships between digital and analogue forms of reading and writing. Three of these ventures – Fiktion, Tegel Media and Jean Boîte Éditions – are presented below. 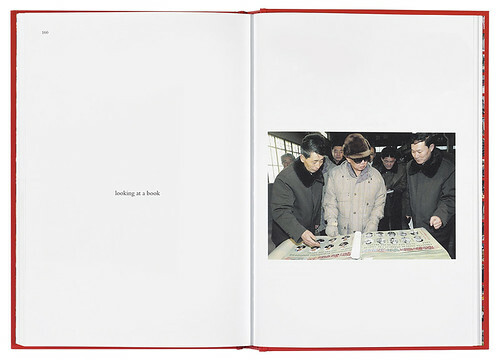 Spread from Kim Jong Il Looking at Things (Jean Boîte Éditions), based on the Tumblr site of that name. Top: Rene Daalder and Rem Koolhaas, The White Slave (translated, from the original Dutch De blanke Slavin, by Laura Martz), Fiktion, 2016. Fiktion has developed a digital format for extended reading, while Tegel Media offers short texts in elongated PDF formats. Both these publishers create books in the digital domain, but Jean Boîte Éditions publishes digital content in analogue form. While their motivations, aims, strategies and outcomes differ greatly, all three ventures show technology is not a threat to publishing, but a potential catalyst for new formats and designs. The conference was convened by Lionel Ruffel (Université Paris 8) with Annette Gilbert (University of Erlangen, Nuremberg) in cooperation with Franziska Morlok (Fachhochschule Potsdam). Having rejected ‘the existing economic necessities of the publishing business’, the writers who founded Fiktion offer all their German / English bilingual publications for free, and are constantly looking for alternative financial models. 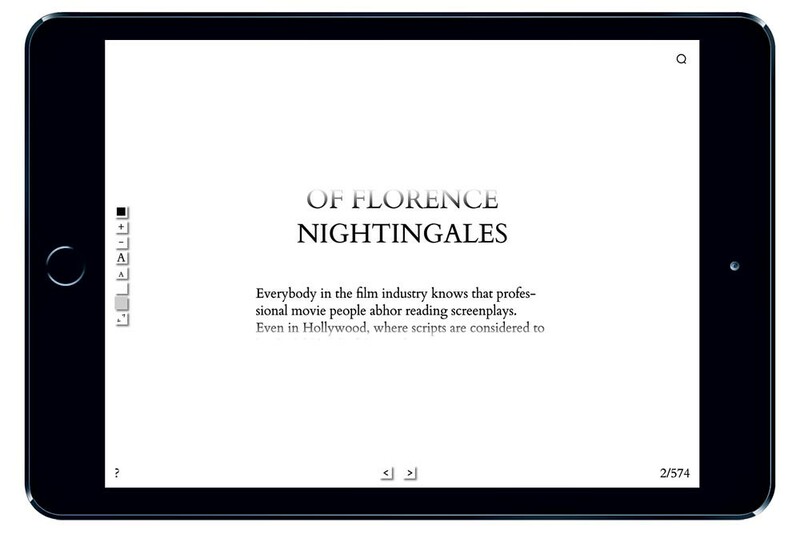 At the heart of Fiktion is an experimental format for e-books whereby the text automatically and continuously scrolls. This is designed to encourage extensive digital reading, as the reader can speed the text up or slow it down, change text size and background colour, or jump forwards or backwards within the text. The format is being developed by programmer Maxwell Simmer and graphic designer Vela Arbutina, in collaboration with an advisory board. To maintain coherence while staying responsive to different devices, Arbutina created a manual with type specifications for the programmer and editors. She is also interested in how e-books differ from printed matter – for instance could the covers be designed differently? For Fiktion’s reader and HTML format e-books, she has developed a fluid title design; for EPUB and MOBI, the cover is more traditional, with title, author’s name and so forth. Novelist Ingo Niermann, one of the group’s founders, says that Fiktion would also be interested in collaborating with a big software producer. They are especially interested in possibilities like Smart Scroll eye-tracking; but data protection rules make it harder to observe how readers are using the tool, and therefore harder to optimise the reader. This Berlin-based publisher wants to help people to slow down their world – to spend more time on reading (digitally published) literature, rather than checking Facebook or playing digital games on the daily commute. 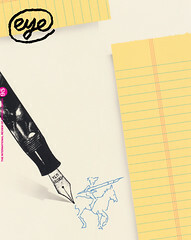 Founded by novelists Jakob Nolte and Leif Randt, filmmaker Maik Stefan Schmied, graphic designer Manuel Bürger and web designer Rasso Hilber, Tegel publishes its texts – including interviews, travel diaries and fiction – in PDF files which can be downloaded at no charge. The files are designed for reading on smartphones and tablets, with long pages – in this case, ‘to read’ means ‘to scroll’. The team chose this format because, for them, the PDF sits between print and digital – though it already feels somehow nostalgic. Right now it is the perfect format for Tegel Media, but in the near future they aim to become a label for audio and video content, too. Though the publications themselves are free, Tegel sells other products, such as a voice messenger app, short videos and desktop backgrounds. Right. 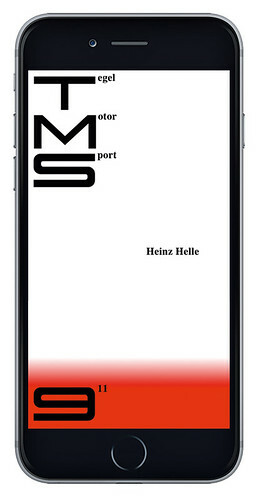 Heinz Helle, Tegel Motor Sport 911, Tegel, 2017. Paris-based Jean Boîte Éditions (JBE) publishes digital content by other means – print books based on weblogs, social media accounts, or digital image series created with the help of Google Image search, Google Streetview or other digital tools. The books range from Kim Jong Il Looking at Things, based on the Tumblr site of that name, to conceptual writings such as Derek Beaulieu’s a, A Novel, first published on the Canadian poet’s Twitter account, @erasingwarhol. Jean Boîte Éditions works with international artists and authors and distributes its books worldwide.